A game server is only fun when there are people to play with and we only get new players when people can find us. 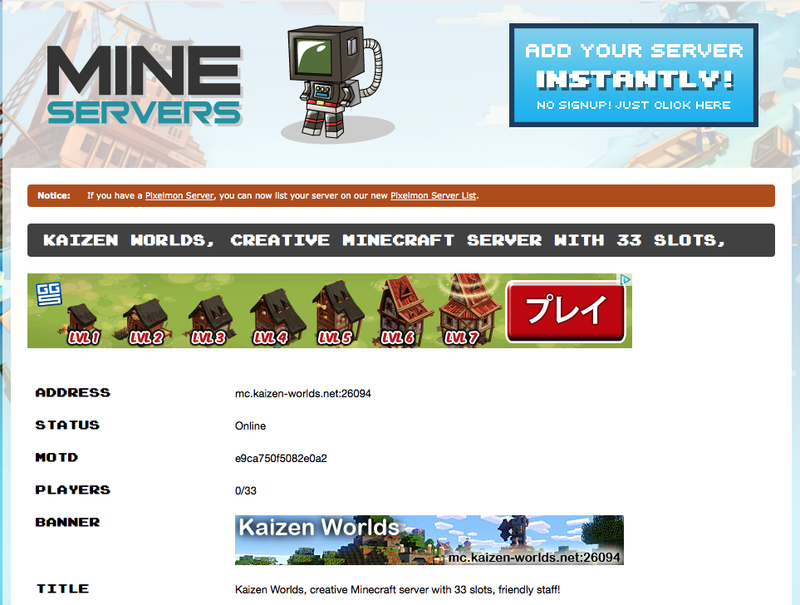 One way people can find us is via server listings. If you enjoy playing here and have a spare moment please consider voting for us. I’m working on a system where it will give rewards for each vote, thinking things like diamonds.